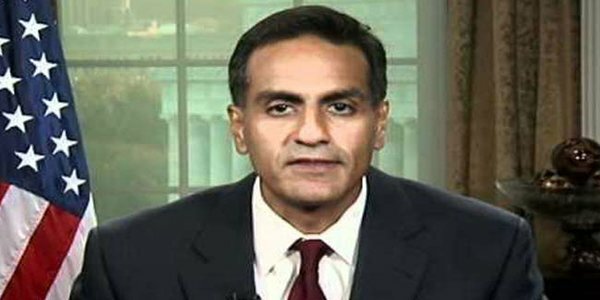 U S President Barack Obama on Thursday nominated Indian-American, Richard Rahul Verma, as the next US Ambassador to India, ahead of Prime Minister Narendra Modi’s visit to Washington later this month. If confirmed by the US Senate, Verma, who earlier served as the Assistant Secretary of State for Legislative Affairs and is now in the private sector, would be the first Indian-American to serve as the top US diplomat in New Delhi. Obama announced his nomination along with several other key administration appointments. “I am grateful that these impressive individuals have chosen to dedicate their talents to serving the American people at this important time for our country. I look forward to working with them in the months and years ahead,” Obama said in a statement. The US Embassy in New Delhi is currently headed by a Charge d’affaires, Kathleen Stephens. Previously, he was Assistant Secretary for Legislative Affairs at the Department of State from 2009 to 2011 and Partner at Steptoe and Johnson LLP from 2007 to 2009. Earlier in his career, Verma was a Field Representative for the National Democratic Institute in Eastern Europe and worked in the House of Representatives for Congressman John P Murtha. He served on the Commission on the Prevention of Weapons of Mass Destruction, Proliferation and Terrorism in 2008 and has been a member of the Secretary of State’s Foreign Affairs Policy Board. Verma currently serves on the boards of Human Rights First, the Clinton Foundation, and the National Democratic Institute. He received a BS from Lehigh University, a JD from American University, and an LLM from Georgetown University Law Center.